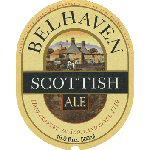 In the 1960s, Belhaven Brewery held the fort as the single remaining “traditional” Scottish brewery. Today there are more than 70 breweries scattered throughout Scotland. Photo by Jon Page. The catchall term “Scottish ale” is used for a group of modestly hopped, malty and sociable brews. Somewhat generic, it often leads to rather limited expectations. But the clan of authentic Scottish ale being made today is actually quite diverse, the progeny of the brews that survived the relative famine of the 1960s and came of age during the rejuvenation of Scottish craft brewing thereafter. The historical family tree of Scottish brewing includes honey and herbal ale, lager, strong ale, stout, porter, mild, bitter and IPA as well as classic Scottish ale. Many of these are being offered again, thanks to 40 years of brewing renaissance, but it is the malty, rich and full-bodied Scottish ales that these brewers claim as their own. Based on archaeological evidence from the Isle of Rùm off the western coast, Scottish brewing is estimated to be at least 4,000 years old. Neolithic vessels unearthed there contain residues of oats and barley laced with either heather and meadowsweet botanicals or its honey. Heather ale was highly coveted in centuries past and is usually associated with the Picts, a tattooed tribe that inhabited the British Isles from Pre-Roman times to the 9th century A.D. It was also made by the Irish, English, Norse and possibly the Vikings. Heather ale is central to a common folktale of an elder who keeps the sacred recipe from his captors even upon threat of death. Heather ale brewing survived far longer in Scotland than elsewhere, attesting to its link to the rural culture, primarily as a farmhouse or home brew, well into the 20th century in the hinterlands. It was revived commercially by Bruce Williams at the former West Highland Brewery in Taynuilt, Argyll, in 1992. Though hops were being used in beer in Continental Europe by the 11th century, the British steadfastly rejected them, preferring unhopped ale instead. Slowly, they acquiesced. Hopped beer was shipped there in the late 14th century from the Netherlands and first brewed in Britain in the early 15th century. Cultivation of hops for brewing began in the early 16th century, likely in Kent. Soon, nearly all brews, including ale, contained them, and an industry was born. During the 18th and 19th century, porter, stout and pale ale brewing became enormous and lucrative business in England, and the Scots emulated them at every chance. The Scottish cities of Edinburgh, Glasgow and Alloa subsequently matured into brewing centers. Eager to cash in on the popularity of porter (and stout), the most widely exported beer style of this era, the Scots hired experts from London to teach them their methods. IPA, trendy and innovative, could be made as well in Edinburgh as in Burton upon Trent, the city famous for the style. Edinburgh’s brewing water is nearly identical to Burton’s, high in gypsum and ideal for hoppy pale ales. It made Edinburgh the second biggest producer of IPA. The Burton Union system, a simple, yet ingenious, apparatus that rid fermenting ale of excess yeast, was also used in Edinburgh, and was especially effective for producing impeccable IPA. Edinburgh ale, essentially today’s wee heavy, was that city’s version of Burton ale, sweet, dark and strong. Hops were easily imported from England and beyond, since most of Scotland’s brewing centers were near busy ports. Scotland’s fertile land yielded high-quality barley, as well as oats and wheat. With a copious supply of homegrown grain and malt, access to imported hops and efficient trade routes, Scottish brewing boomed, supporting about 280 breweries at its peak in 1840. Success, often a double-edged sword, brought unbridled power to some large brewers, leading to the consolidation and closure of many smaller breweries and a sharp decline in numbers by the beginning of the 20th century. Brewers were now mostly clustered in Alloa, Glasgow and Edinburgh (which had 35 of the remaining 90). War rationing, tax burdens and temperance slowly eroded the industry further, from 63 breweries in 1920 to a nadir of 11 in 1970. This trend has since reversed, but at a relatively slow pace. Belhaven of Dunbar held the fort as the single remaining “traditional” Scottish brewery in the 1960s. Traquair House opened in 1965, quietly and unknowingly signaling the dawn of steady growth over the next four decades. With this nascent industry came our modern notion of Scottish ale. So how did what we consider Scottish ales come to differ from other ale and top-fermented beer being made in Britain? Much of the characterization (and general introduction to the masses) comes from Michael Jackson, who described them as being “enwrappingly full-bodied and malty” in his groundbreaking opus Beer Companion. Those descriptions were based on the few Scottish breweries and limited wares in the 1970s, ’80s and ’90s. Scottish brewers had a brewing culture unto themselves, modest as it was, a case that could not be made a few decades earlier. Though all great brewing regions make malty beer of some sort, Scotland’s were generally so, and hoppy beers were largely absent. It is what brewers made, and made well, and what the consumers enjoyed. Today there are more than 70 breweries scattered throughout Scotland, most of which have opened within the past 20 years. Many offer ale that would be in the Scottish tradition, as well as other British-style ales, porters, stouts, lagers and experimental brews. Real ale is also being featured once again. The full, malty character is often attributed to slower, cooler fermentation with presumably British yeasts acclimated to the generally chillier climate. Of course, modern brewers can tailor conditions to the comfort zone of those strains now. It is often said that they even resemble bottom-fermenting strains in temperament. The fact is, in the 1830s lager brewing pioneer Gabriel Sedlmayr II of Munich came to Britain to further his brewing knowledge, particularly new technology used to manufacture pale malt. He gave some bottom-fermenting yeast to John Muir at the Calton Hill brewery in Edinburgh. This was before refrigeration, so Sedlmayr must have deduced that lagerbier brewing could thrive there. Muir brewed with it several times, allegedly with great results, but he couldn’t maintain the yeast properly and scrapped the experiment. The shilling system number frequently associated with Scottish ale is a historical touch implying tradition. It was first used in the mid-19th century and refers to the invoice price of a hogshead. The 60-, 70-, 80- and 90-shilling designations were replaced by light, heavy, export and wee heavy, terms that are also still in use. Wee heavy is generally considered by many to separate from plain Scottish ale, traditionally more of a specialty offered in smaller portions. A search of current Scots breweries and their product descriptions shows the new wave of brewers to be quite fond of making self-described distinctive “Scottish ale.” These are representative of their interpretation of tradition, history and otherwise noteworthy brews, even if much of it is recent. They tout the malty aspect (but don’t ignore the hop profile by any means), the foundation and flair that create a spectrum of color from amber to brown to nearly black. Gravity ranges from session strength (4% and less) to about 6%. The quaint shilling designation is a pertinent historical reference point and a reflection of gravity. Those called simply Scottish ale are pronouncements of national identity in ale. Based on these factors, we can lump these brews into a broad family of definitive brews, a fluid, interpretive, yet historical perspective. There is nothing fancy or overblown about Scottish ales, but they are instead simple, smooth and genuine. Malt is the true star, and Scottish barley makes some of the best. Wheat and oats of various forms are also frequently used. Color comes from the usual range of specialty malts and grains, including caramel, chocolate, black and roast. Those brewed in North America, of which there are many, follow the same template. Hops are reserved, though some brewers are not shy about dosing some of their ales with a heftier measure of hops, including American cultivars. There is even a fledgling hop-growing industry in the Clyde Valley near Glasgow. As the Scottish brewing industry grows, the range of beers is likely to fill out once again, and the presence of Scottish ale, along with other traditional styles, seems to indicate that the brewers have a keen sense of where they stand today and where they’ve been. This article appears in the September 2014 issue of All About Beer Magazine. Click here for a free trial of our next issue. Tasting Notes: Former homebrewers Bruce and Scott Williams craft their wares in Alloa, Clackmannanshire, dedicating some of their portfolio to ancient Scottish brews. 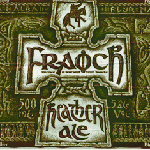 Fraoch is based on a family recipe for leann fraoich, Gaelic for heather ale, given to them by a Gaelic woman in 1988. Fraoch is deep gold and slightly hazy. The aroma is floral, with notes of peach and pear. A slick, soft mouthfeel is followed by light honey-malt flavors and a tasty fusion reminiscent of fresh herbs, jasmine and mint. It finishes with mild bitterness and winey tartness. Fraoch contains hops and bog myrtle (sweet gale) along with heather. The Williams Bros. also brew ales with Scots pine, elderberry, kelp and gooseberries. 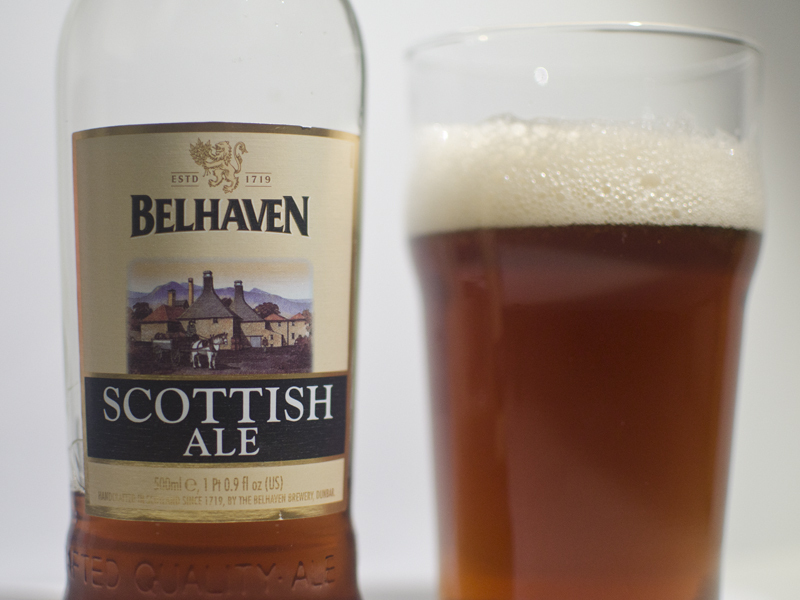 Tasting Notes: The Belhaven Brewery is the oldest operating in Scotland (1719). It is located in Dunbar, about 30 miles southeast of Edinburgh, and makes a range of products proudly in the Scottish tradition. The Scottish Ale is its flagship. Bright, brassy amber in color, it offers a fragrant blend of herbal English hops and nutty malt. Lighter in body, it offers plenty of hop flavor, balanced by a firm malty foundation and more of that nutty character, with a hint of dark malt. The finish is brisk, owing to a solid dose of bittering hops. It is also available in cans on nitro, softening the hop profile a bit and presenting a creamier texture. Tasting Notes: Colorado has long been the home of microbrewing giants in the U.S., and Odell Brewing Co. of Fort Collins can stand with any of them. 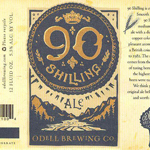 90 Shilling is its flagship ale, introduced in 1989. It is full copper in color, heady and malty from aroma to finish. The nose is even and polished, with elegant, reserved American hops and fresh, bready, toasted aromatics. Plump body, velvety texture and chewy, nutty, caramel malt backbone in the flavor, complemented by a touch of resinous hops. Excellent malt-centric, unassuming offering in a world of hops, funk and brawn. Tasting Notes: The Orkney Brewery is located in Quoyloo, in the Orkney archipelago off the north coast of Scotland. 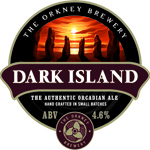 Dark Island is billed as an “authentic Orcadian ale.” It has been recognized, in cask, as Champion Beer of Scotland by CAMRA. It pours reddish-black, with a foamy, lacy brown head. Toffee and chocolate command the aroma. The medium mouthfeel gives way to a malty background, mellow roast, fig, licorice and cocoa. The finish is clean, dryish, mildly peaty and earthy. Complex without being overwhelming or too busy, Dark Island is full and satisfying. Perfect for any season. What hops are in the Bellhaven, and the black Scottish Stout?